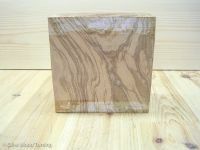 Cookies are files that store information on your hard drive or browser which means that Olive Wood Turning can recognise that you have visited their website before. By seeing how you use them, we can measure usability of the website. This cookie collects information in an anonymous form.This is a behavioural tracking service that helps us find out how users use the site, for example is shows us the number of visitors, which pages people visit, how long they stayed on a page and so on, we use then to improve on the website, assess how relevant the content is and how easy the site is to use. Session cookies are stored in your computer's memory for the length of your browsing session only, they are not retained after the browser is closed. Session cookies do not collect information from your computer. They are used for a variety of purposes such as allowing you to move from page to page without having to log-in repeatedly and to remember what you have put in your shopping basket. They do not personally identify the user.